What a gorgeous day it was when I went to Orphans of the Storm® this week! The dogs all loved being out in the nice weather, though some of them found some shade to settle in after we had been out for a while. We all have to get used to this heat again, after such a long winter! Although Meeko is a champion snuggler, he also likes to have the opportunity to run around like any other dog. Don’t plan on keeping Meeko tucked in your purse! 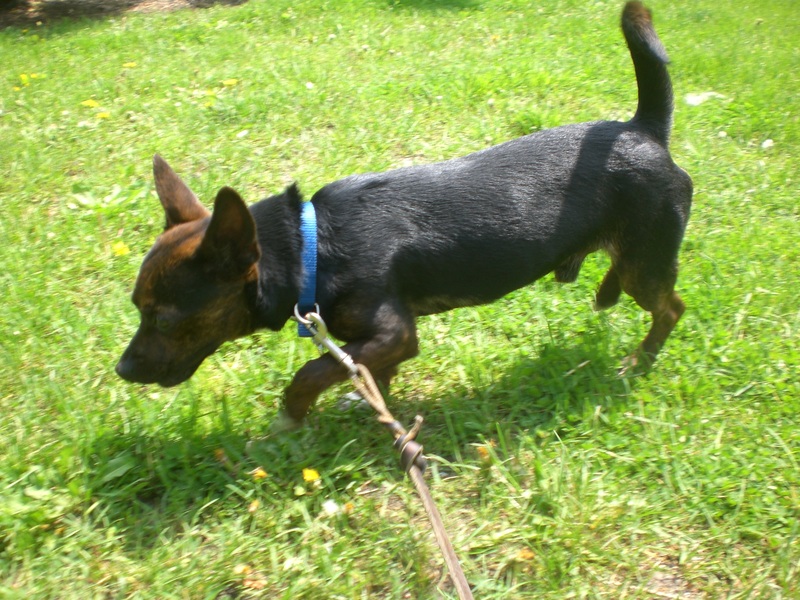 He likes to keep those little legs moving and approaches everything with a wagging tail. That’s a great personality trait to have! 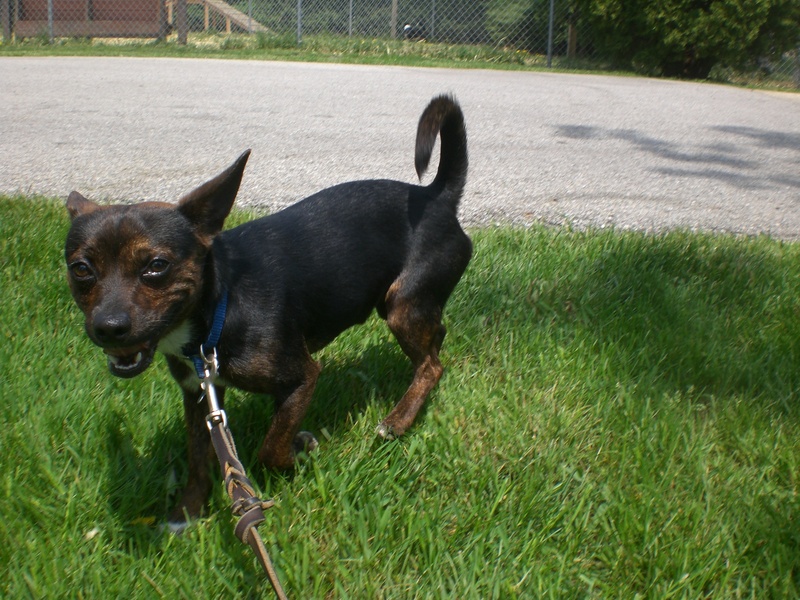 If you’re looking for a little dog with a big heart, come in soon to meet Meeko! Carson the three-year-old Boxer mix is one of the most affectionate dogs I’ve met at the shelter. He loves to jump up to give doggy hugs and doggy kisses (but if you say “off” he will listen). When I was kneeling to get a good picture, Carson put his paw on my shoulder like we were already the best of friends. What a loyal companion he will be! Carson is also a very handsome dog. He might be mixed with some Lab or Shepherd, since his fur is a bit fluffier than the usual boxer, but it’s impossible to resist that Boxer face of his. Carson gets along with people and dogs alike. He currently has a kennelmate (see below) and seemed to get along with another dog that was in the run next to ours, too. Carson is more than ready to join a new forever family! Kelly the three-year-old Labrador Retriever mix has the typical Lab personality that makes them the most popular dog breed in America. She’s friendly, energetic, playful, and lovable. Kelly is currently Carson’s kennelmate, and they’ve already become fast friends who stuck close to each other while we were inside the run. Kelly is a big girl who can be pretty strong when she first gets out of her kennel, but she was a better walking buddy after she had burned off some of her energy. Kelly is first and foremost a companion dog. When I sat down on the bench to get some shade myself, Kelly hopped up next to me and put her front paws in my lap, then gave me lots of doggy kisses. When I stood up and walked to the other side of the run, Kelly followed. 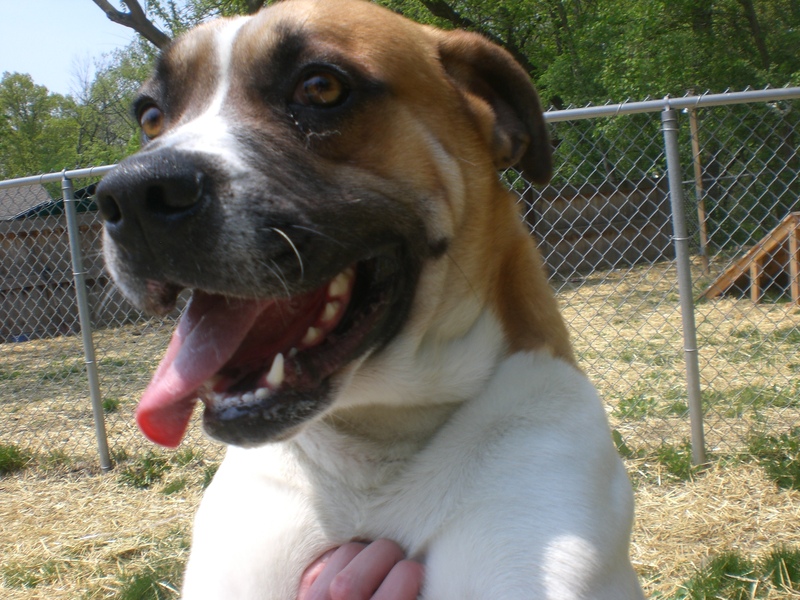 This beautiful girl can’t wait to have a loving family to call her own. 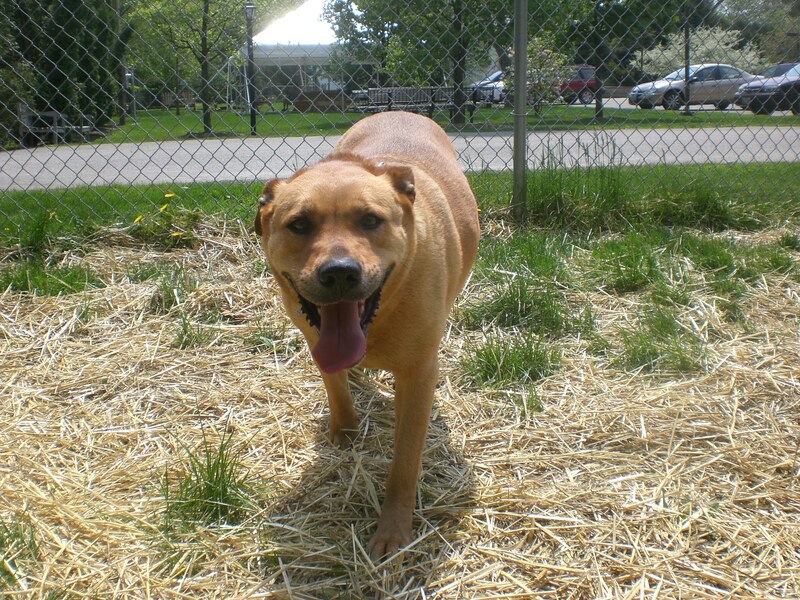 If you think a Lab might be the breed for you, stop by the shelter and get to know Kelly! As has become a custom these last few weeks, I spent some more time with Molly and Reebok. Molly still has that perfect fetch form, and Reebok still loves to get a nice scratch on his back. I also said hello to Diamond, who was out enjoying the nice weather too. Freckles and Buckeye were returning from an offsite event while I was there, so of course I had to give them a few nice pats too. 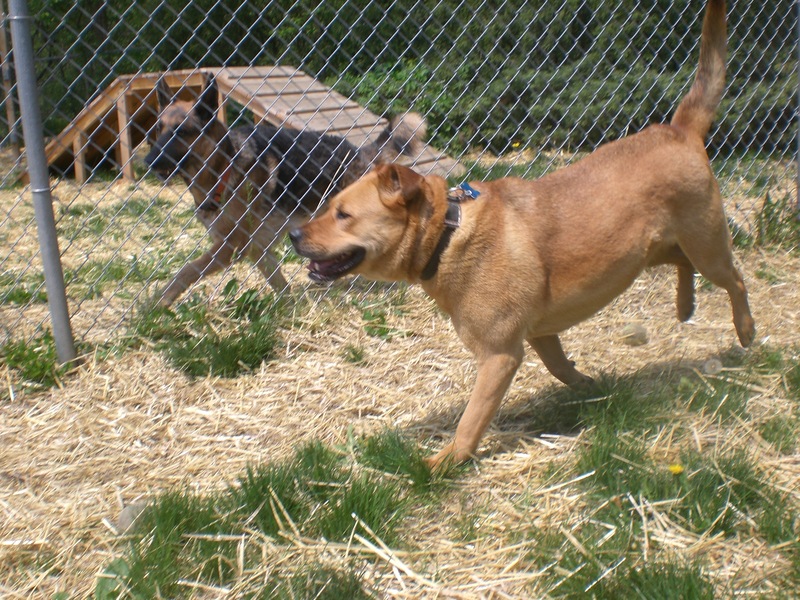 There are so many wonderful dogs to choose from at Orphans of the Storm®! Which lucky pooch will be your new family member? 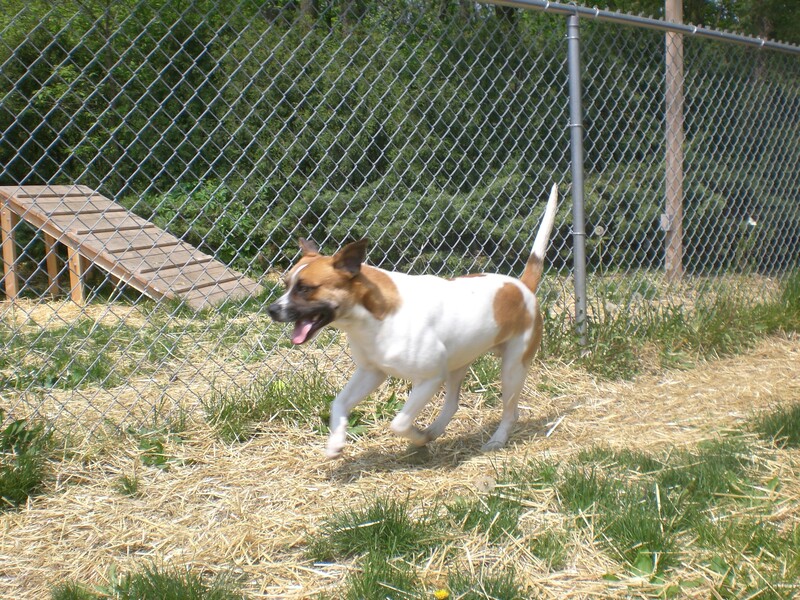 Posted by Meet the Pooches on May 22, 2013 in Dog Profiles and tagged adoption, animal shelter, animals, Boxer, Chicago, Chihuahua, dogs, Labrador Retriever, Orphans of the Storm, pets.